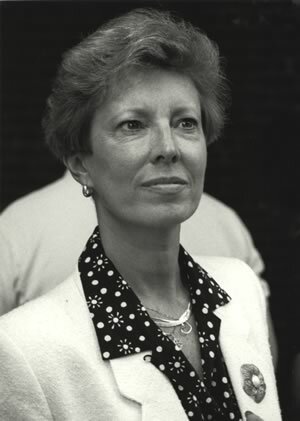 Marcia Capuano, principal of the H.L. Harshman Middle School in Indianapolis, Indiana, is talking to a group of prospective student teachers who think teaching is an easy career choice. Marcia asks, “Well, what do you consider teaching to be?” The students reply, “Giving kids the information.” This is not the first time that Marcia has heard this. “Giving the information is the final and the easiest event,” she begins. “You need to motivate kids, model for them, counsel them. And the hardest part is that the child actually learns. Not everyone can teach.” A pioneer education reformer, Marcia has transformed a poverty-stricken school into a model inner-city environment, a center for community development and support services, and a safe and promising haven for students. She envisions a future in which public schools are “learning communities” that empower children and their families to succeed as active learners, citizens, and friends. One of six children, Marcia was born in a rural community outside of Indianapolis. Her parents valued education, put great importance on family, and emphasized giving over receiving. Graduating from Wittenburg University, Marcia considered a medical career. But her father’s words, “a teacher is as important to the mind as a doctor is to the body,” turned her toward education instead. Marcia’s teaching career began in Ohio in 1965, where she worked first at a public middle school and later as a teacher and Dean of Students at a parochial school. In Utah, Marcia taught in a rural area with a large Native American and Mormon population and, in Kentucky, at a Jewish day school. In Delaware, where she received her Master’s degree in education, she worked at a desegregated urban middle school. In 1985, Marcia and her husband returned to Indiana, where Marcia was appointed principal of Harshman Middle School, the poorest school in Indianapolis. Of her one thousand students, three in five were minorities, four in five qualified for free or subsidized lunches, and two in five lived in homes without telephones. Students there were often sexually abused, victims of violence, and suffering from depression. One in eight students was on probation or parole from the juvenile justice system. To improve the educational chances for all Harshman students, Marcia has expanded the traditional school day to include structured after-school and Saturday programs. Students are introduced to algebra at an earlier age, and participate in intensive math programs. They are part of aggressive reading and literacy initiatives and participate in computer-assisted instruction. As an alternative to suspension, Marcia has developed an on-site “alternative school,” open daily from 2:30 p.m. to 5 p.m. When Marcia arrived at Harshman in 1985, her students scored 38 on the National Curb Equivalent (NCE), a linear statistical unit used to explain and compare standardized tests. Last year, her students scored 52 in reading and 48 in math. “THAT represents growth,” she says with pride. To increase the safety of Harshman students, Marcia worked closely with neighborhood police and created a school environment where gangs and gang clothing are not acceptable. In order to supplement the school’s budget, she secured numerous grants. “It requires more money to educate poor people than it does to educate traditional white, middle-class students. To get a tree to grow straight, you need more resources than you do for a tree that’s doing fine just growing on its own,” she explains. For Marcia Capuano, “poverty is a debilitating disease for children.” Her prescription of a holistic treatment by the educational system for each symptom of that disease has been proven successful.